The Congress vote share from 34 per cent in 2003 had leaped forward to 42 per cent in 2013 and this translated into BJP losing out 8 seats. 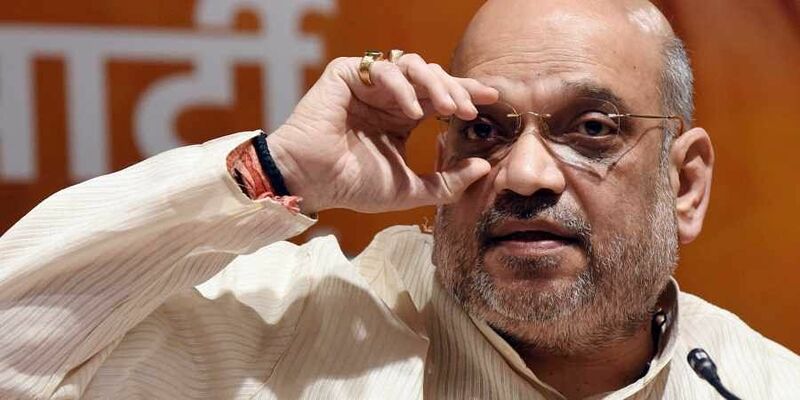 RAIPUR: BJP chief Amit Shah, known for fine tuning the electoral management at the minutest level and till the last minute, held key deliberations with senior party strategist Anil Jain for Naxal-hit Bastar region on Friday. At one point of time, when he met Mr Jain, party's in-charge for Chhattisgarh and another key strategist Rajendra Singh, even Chief Minister Raman Singh and BJP's Chhattisgarh unit president Dharamlal Kaushik were not present. Rajendra Singh is a Bihar-based leader and credited for organisational works. He could be made a special poll in-charge for Bastar region. Sources in BJP say there are different facets of elections in the Naxal region. "One peculiar fact has been that there are six-seven seats in Naxal hit region where no MLA or party is re-elected. Elections are tougher in this region than it can be in the rest of the state," a party leader said. Mr Shah's interactions for Bastar region is considered significant as in 2013 Assembly polls, there was significant erosion in BJP support base and Congress had put up an impressive show picking up eight seats out of 12 in the Bastar region. In Bastar region between the seven districts, there are 12 crucial seats. BJP had won nine of them in 2003 and the vote share was 41 per cent. This had improved to 11 in 2008 but came down to four in 2013 through the vote share had jumped to 44 per cent. Among other things, Mr Shah reviewed the report of internal survey conducted by the party, sources said, adding during the crucial meeting, none of the ticket aspirants were allowed to come near the venue. "The BJP needs to fine-tune the strategies about the tribal vote share and things are being examined closely," a source in Jagdalpur told UNI over phone. According to sources, all those issues that could impact voting turnout in these areas and the manner people would vote either for BJP or against it were also taken a closer look at. Tentative lists of candidates prepared by party's various units were also examined and things can be reviewed once again in consultation with other stakeholders and especially Chief Minister, the source said. During his speech at BJP booth workers meet at Jagdalpur and later in the day at intellectuals meet at Raipur, BJP national president credited the Chief Minister as an able administrator especially for fighting the Naxal menace.